DAVID LE/Staff photo. 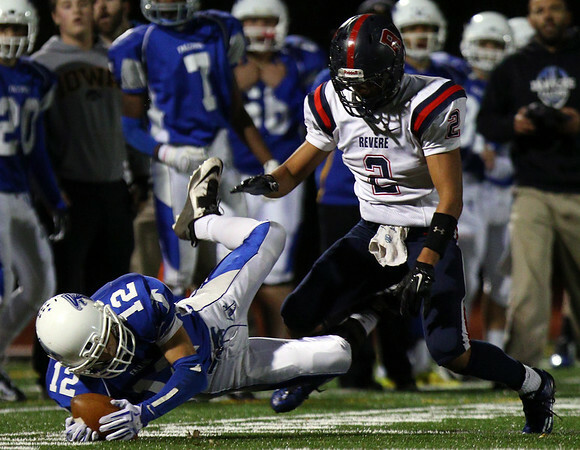 Danvers senior wide receiver Mike Nestor (12) reels in a long pass on a wide receiver reverse pass from Dean Borders after beating Revere cornerback Oscar Lopez (2). 10/30/15.